All the content on your site is marketable – research who your target audience is, discover where to find them and work toward organising the content that will attract them. Creating user scenarios can help you identify what users will do on your website and why they do it. Different user groups might need different entry points to your website, reflecting their expectations. Or it might be appropriate to provide visitors with a more flexible level of content organisation. Avoid confusion and provide straightforward answers to your visitors’ most important questions on your cornerstone content page. Provide easy access from your home or landing page to this cornerstone content. Your website visitors are subjective and goal oriented when they scan your website content. In other words, they are looking for specific solutions and practical advice. This might differ from what you want to promote about your business on your website. Organise your content by grouping it in a logical and practical way, according to its relevance to your users, especially who you identify as your most important users. Include only content that is relevant and helpful, so cut out anything extraneous. Write so your audience finds your content easy to read and understand. Write shortish sentences and brief paragraphs. Save your audience time and make their lives easier by pointing them to the clear, concise advice and information that will help them find the solution they’re looking to you to provide. Provide your audience with content you know they’ll find useful and interesting. Use key parts of your text to influence people to read on, such as the headline and the first few sentences. The main heading, url, introductory text and other content should contain the focus keyword for the page. A “keyword” is based on research into the words that represent your pages best and which words (and images) people are likely to use to query Google and seek out what you are offering. Demonstrate your expertise, and also link to external sources to provide your visitors with further useful insights. Visuals are important – use images, graphics, quotes, etc, and remember to reference any source that’s not your own material. Schedule regular content publications. Plan this out so that, for example, you create a number of quality posts on your blog page, which can also be distributed via social media. 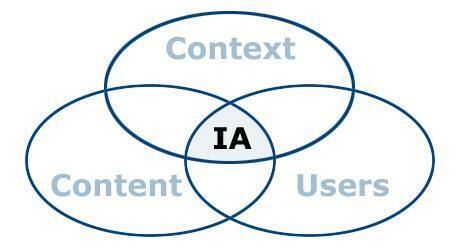 IA or information architecture (“the art and science of organising websites”) supports usability. The goal of IA is to create a website structure and design that balances users’ expectations with your business goals. Does this website have what I’m looking for? Does this website have something even better? People don’t read a website page the same way they read a page in a book. The vast majority of people scan a web page rather than read it. They graze for useful content – images, video, words and sentences that jump out. Write well thought-out headlines – one H1 heading to a page. Write one idea per paragraph. Start any piece of text with the conclusion. Write concisely (write a draft of the page then halve its length). Users won’t read web content unless the text is clear, the words and sentences are simple, and the information is easy to understand. Nielsen advises that as a minimum, text on your website should be legible (a design thing), readable (write simply and concisely), and understandable (so, for example, readers comprehend what actions they need to take). These factors are especially important for mobile users, who will leave your site rapidly if their experience is unhelpful or unresponsive. Write to suit the way people will scan your page. Focus on providing content that’s of interest to users rather than information you want to promote. Lead each page or article with the content that will be of the most direct interest to your readers. Get in touch to discuss how I can help you further with organising the content on your site.